Some of the files below are PDF files which require the free Adobe Reader. 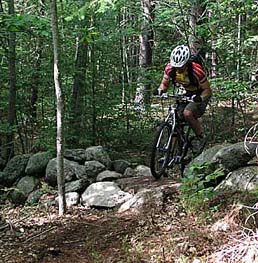 Bradbury Mountain State Park popular training and event location for mountain bikers. Camden Hills State Park includes rolling hills with panoramic views of the ocean. Down East Sunrise Trail a multi-use rail trail that overs 85 miles of riding; best for fat-tire bikes. Bicycling in Maine a link to Maine Office of Tourism pages that include on and off road bicycling, events, and rentals. First Aid What you should carry in a bicycling first aid kit and the skills you need to know. Includes links to the American Red Cross and others for First Aid Training courses. Multi-tool that includes Allen wrenches, hex bolt wrenches, a chain tool, and screw drivers.